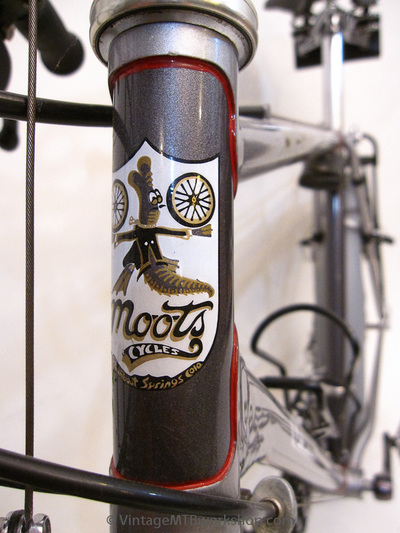 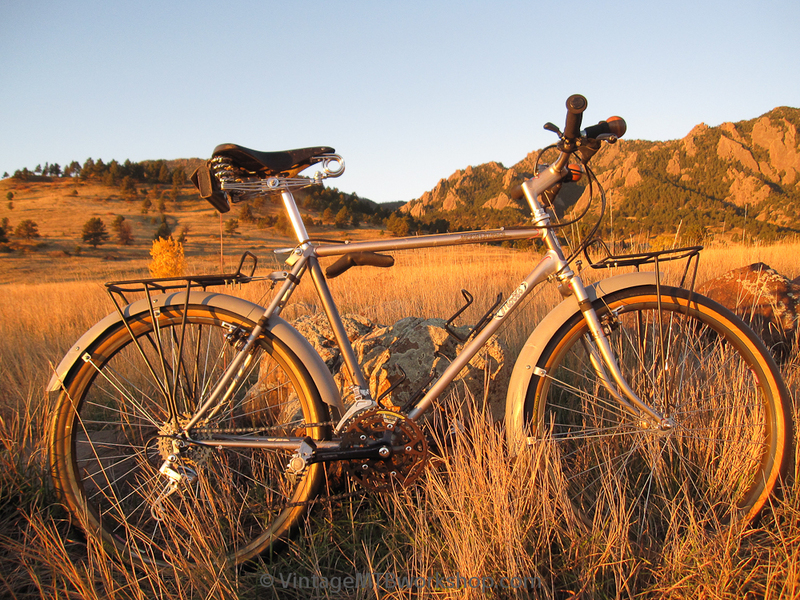 Kent Eriksen started Moots Cycles in his Sore Saddle Cyclery shop in Steamboat Springs, Colorado back in 1981. His bikes were designed to go anywhere and do anything, having just about every feature one could possibly want for rides both short and long. 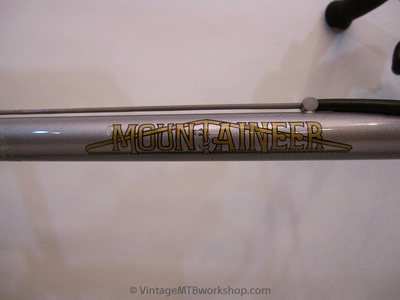 The bikes that he and his crew built stand out because so many high-end, custom mountain bikes built over the years had some heritage and purpose that was oriented toward racing. 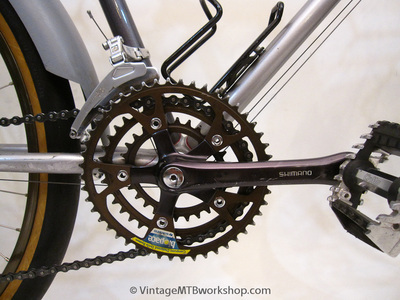 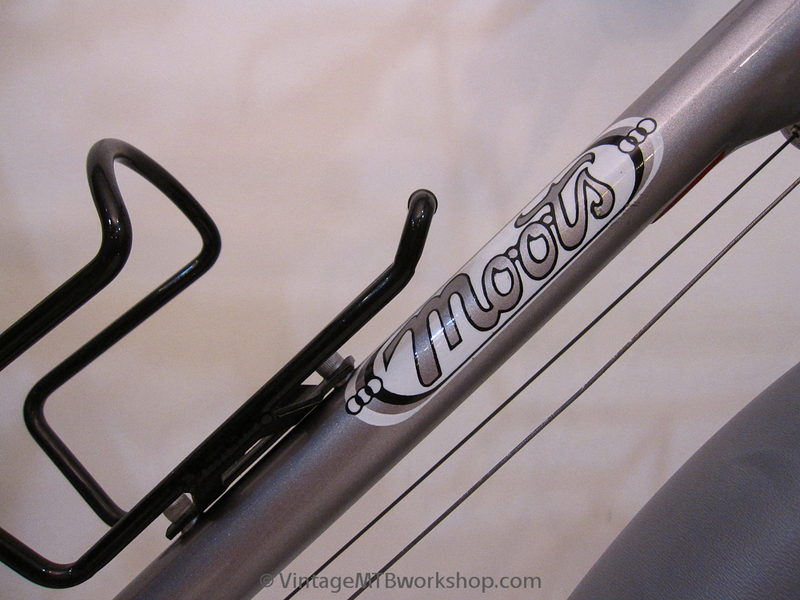 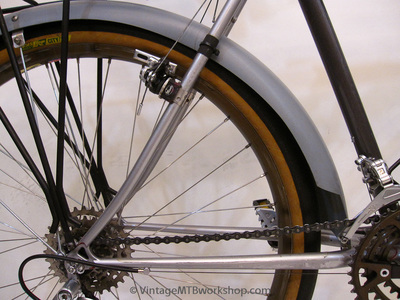 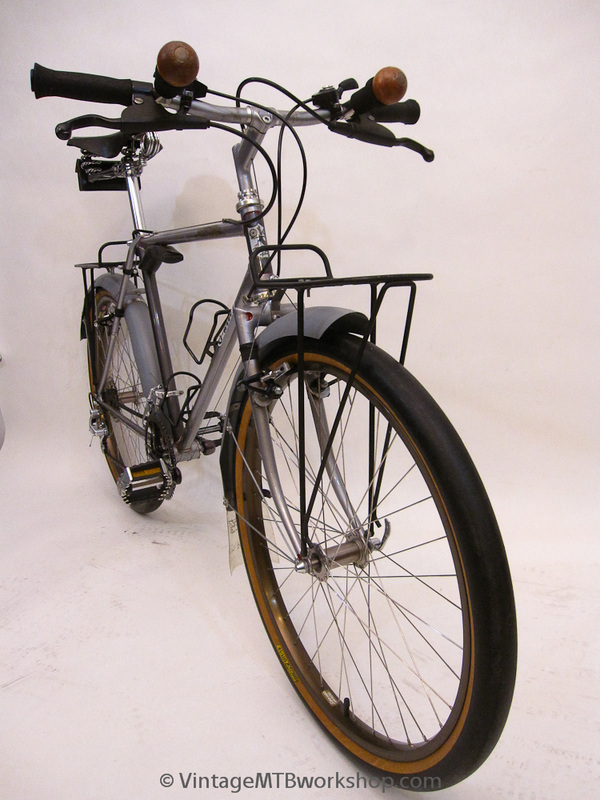 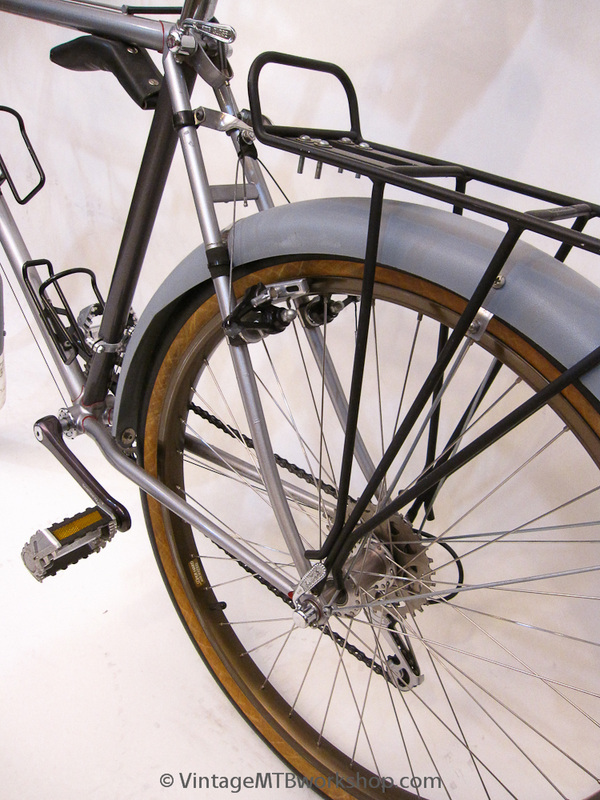 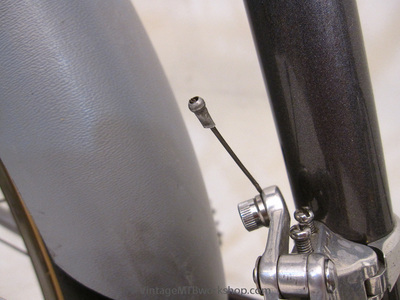 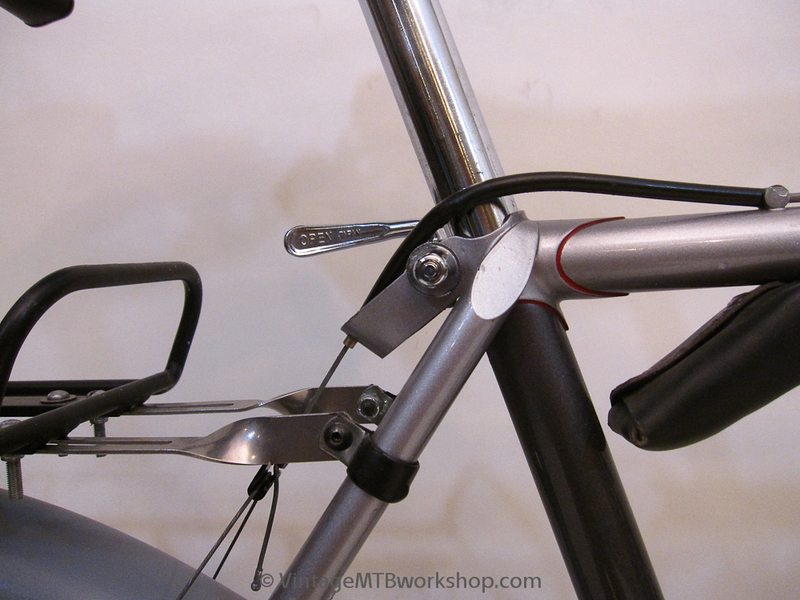 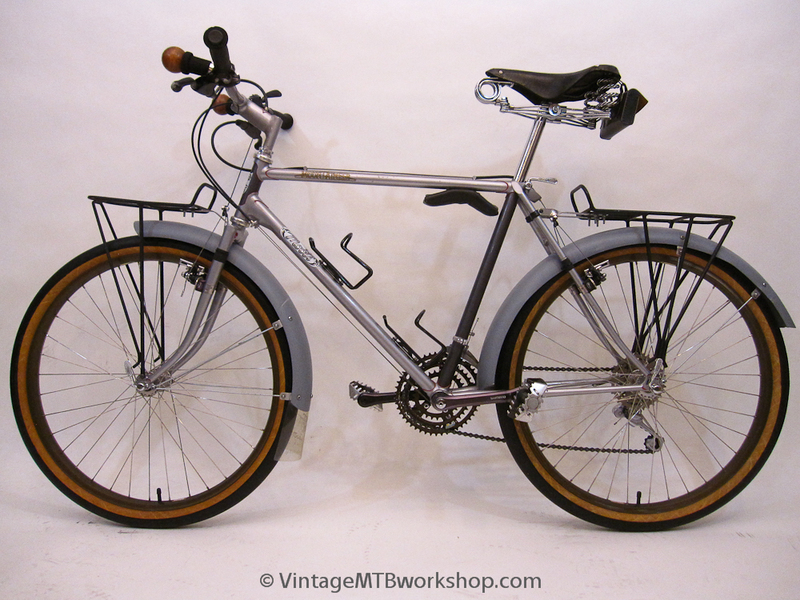 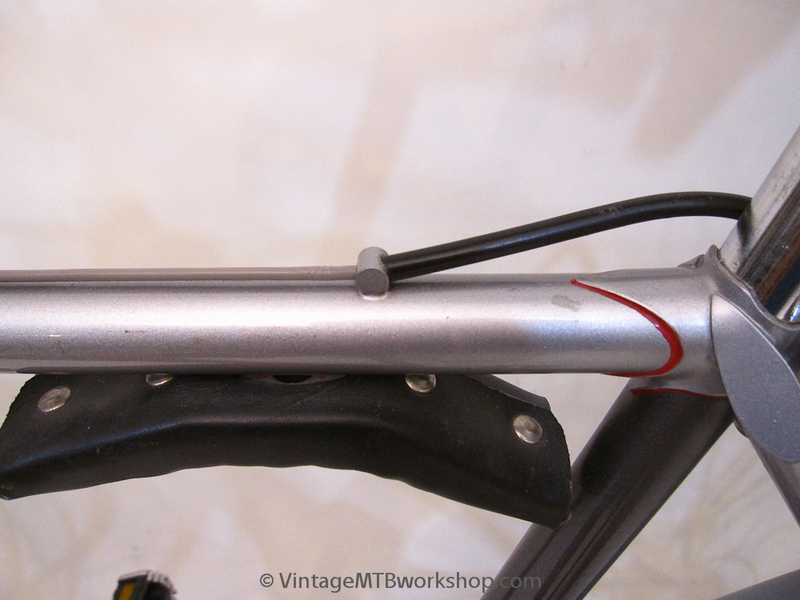 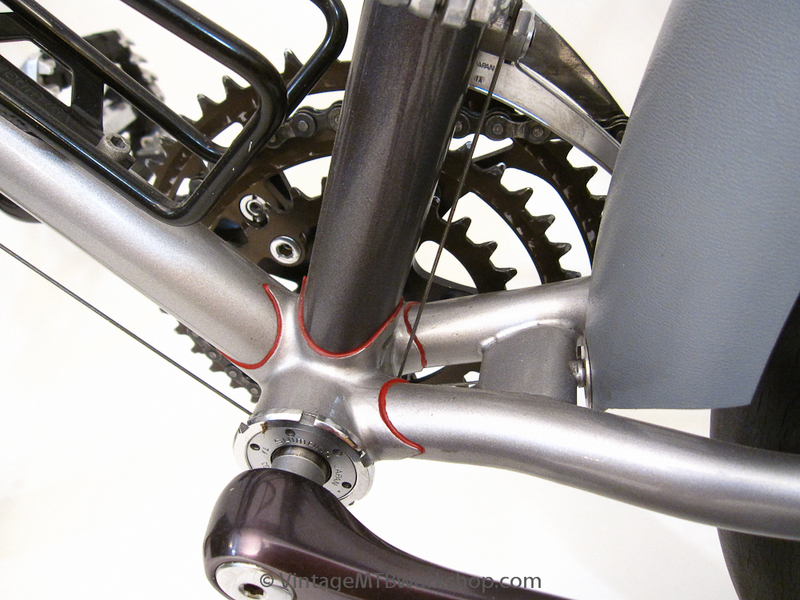 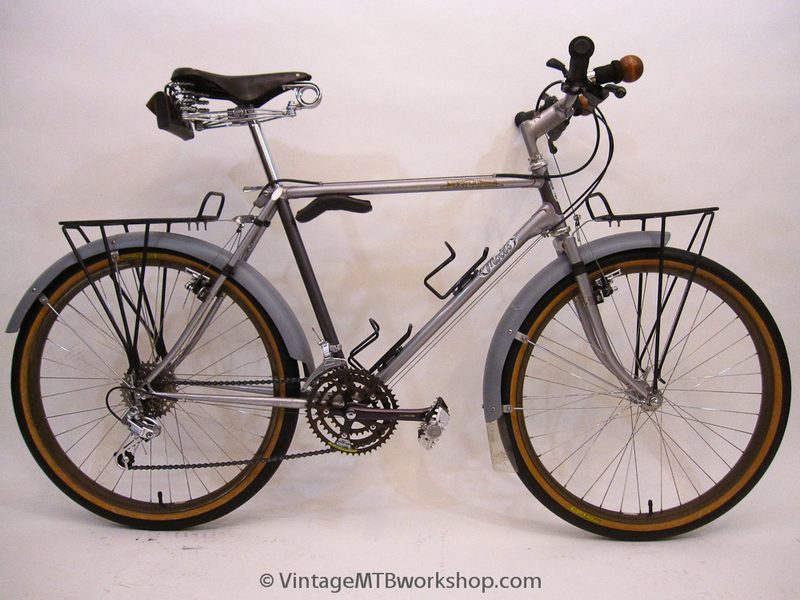 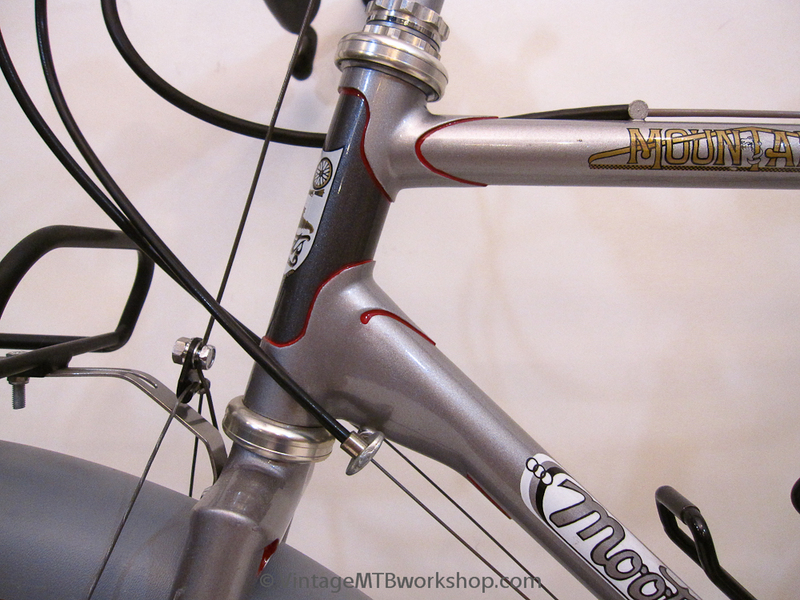 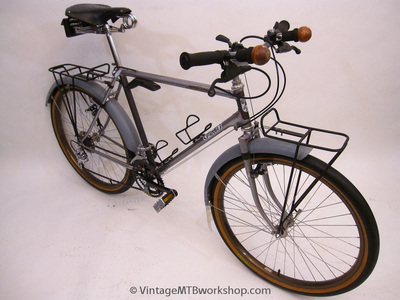 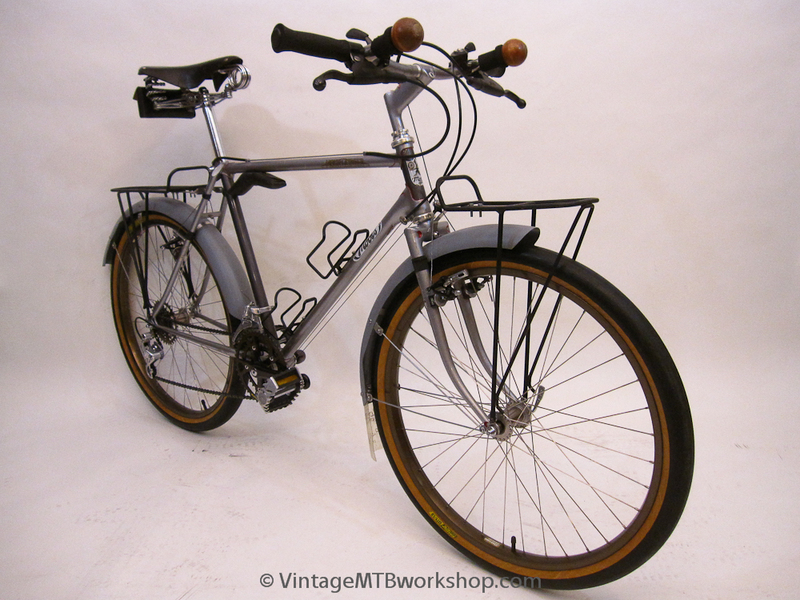 That wasn't the case with most Moots, and this bike is no exception. 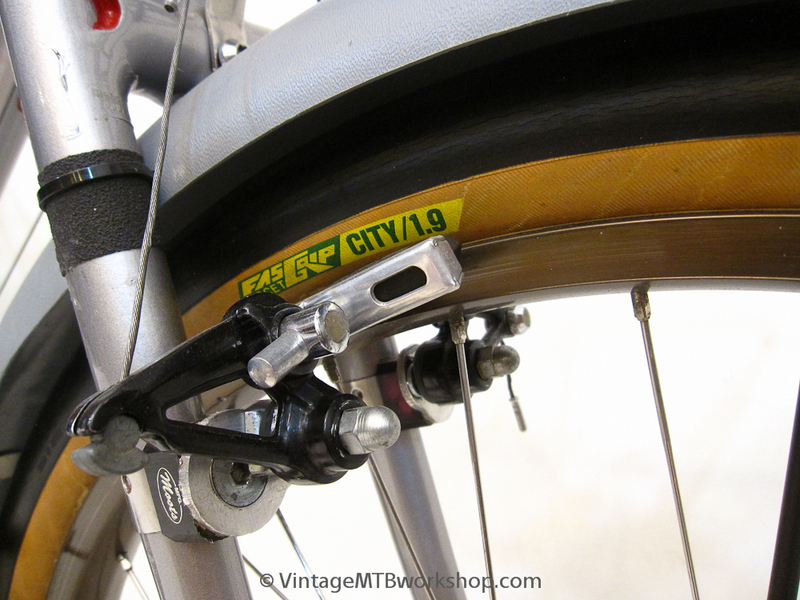 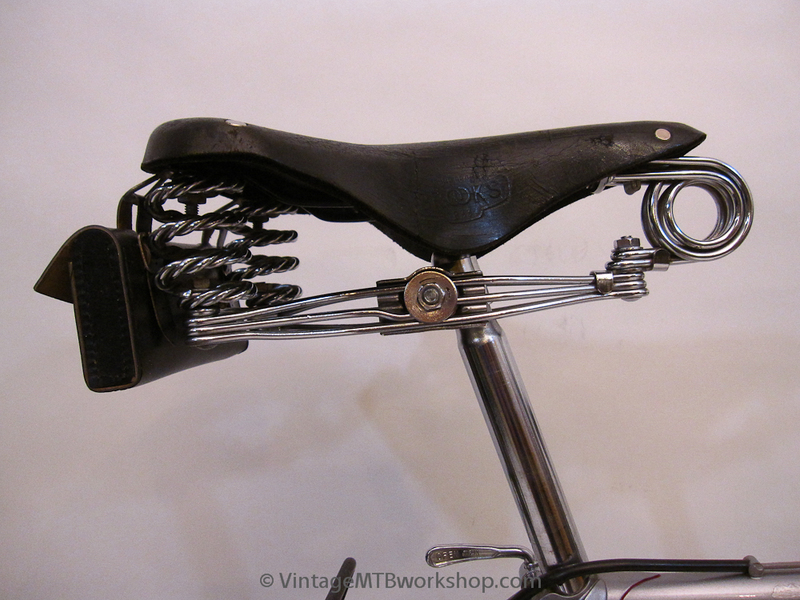 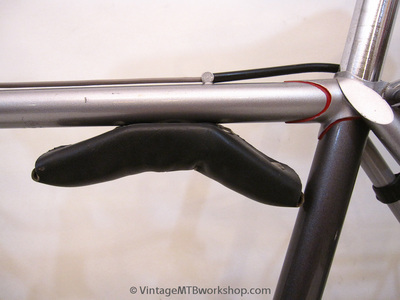 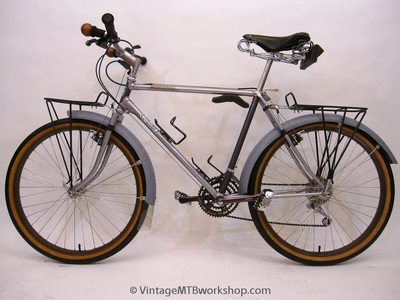 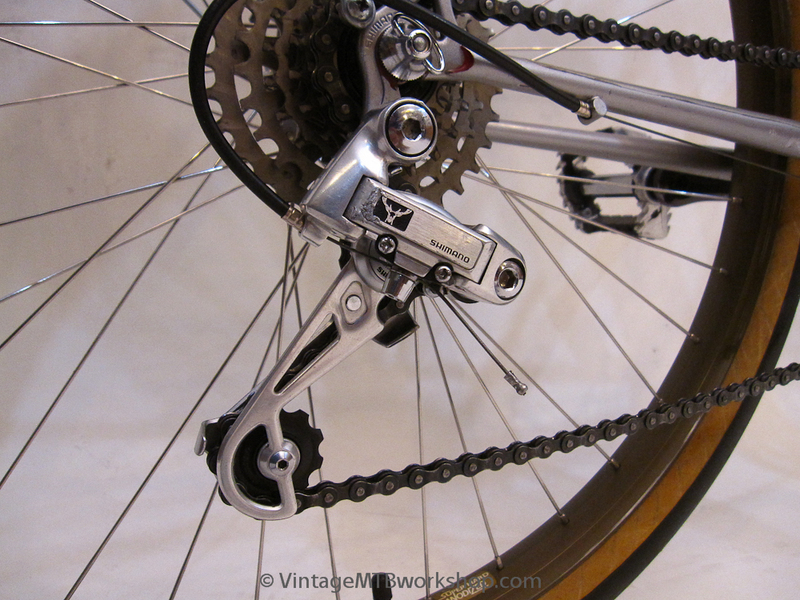 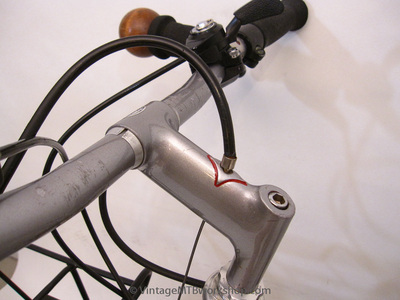 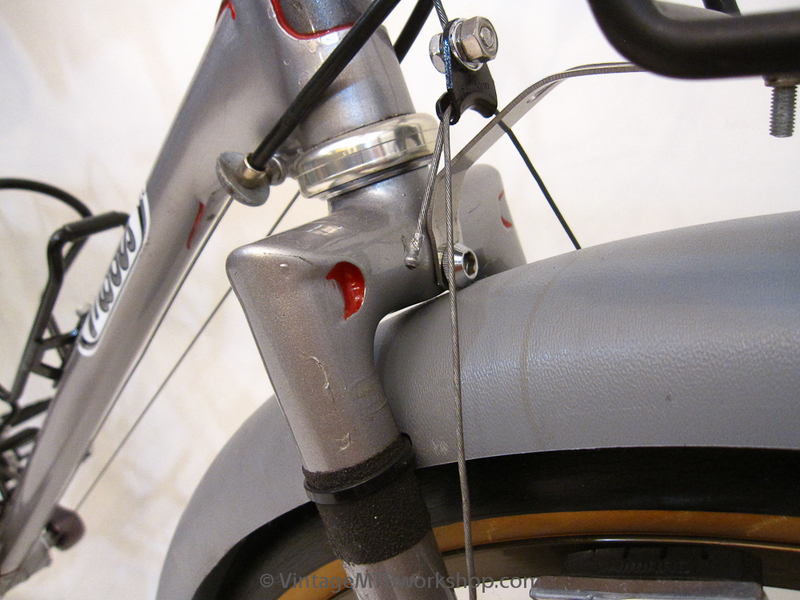 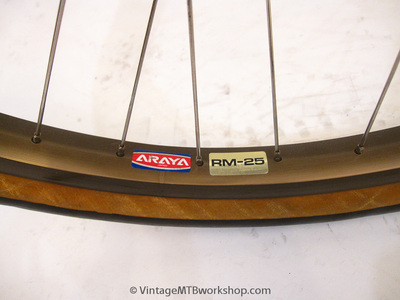 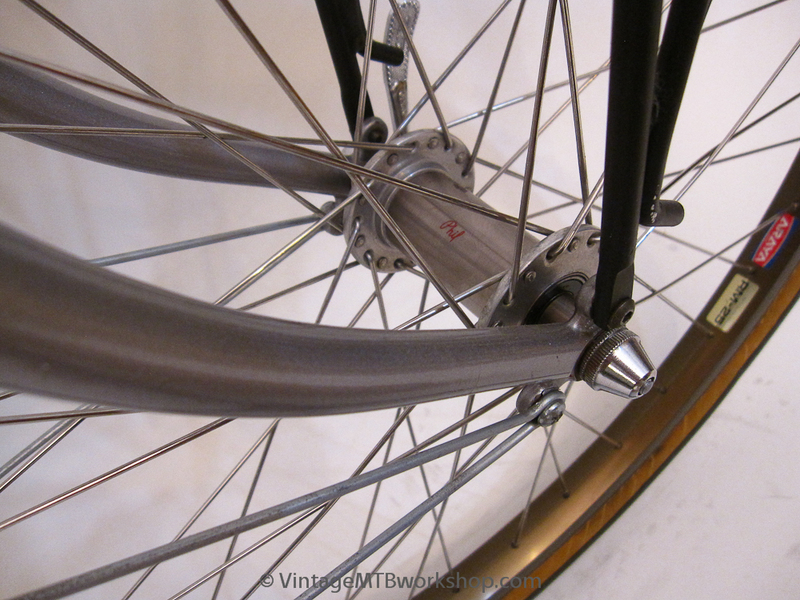 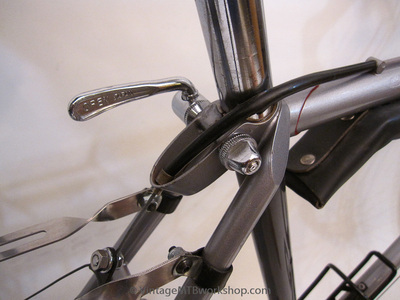 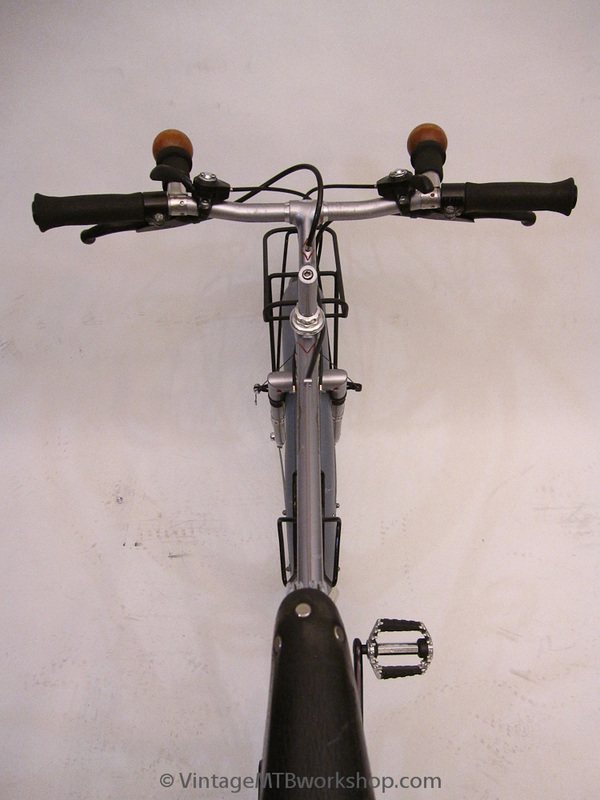 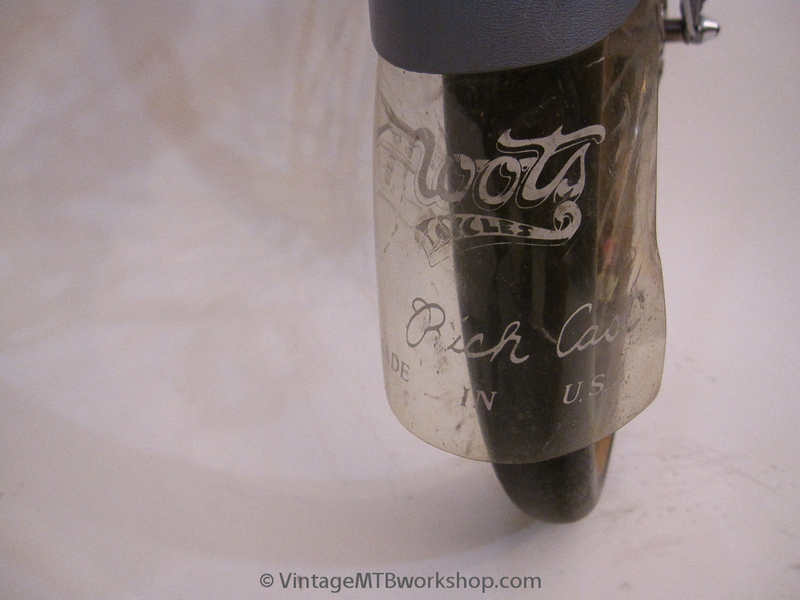 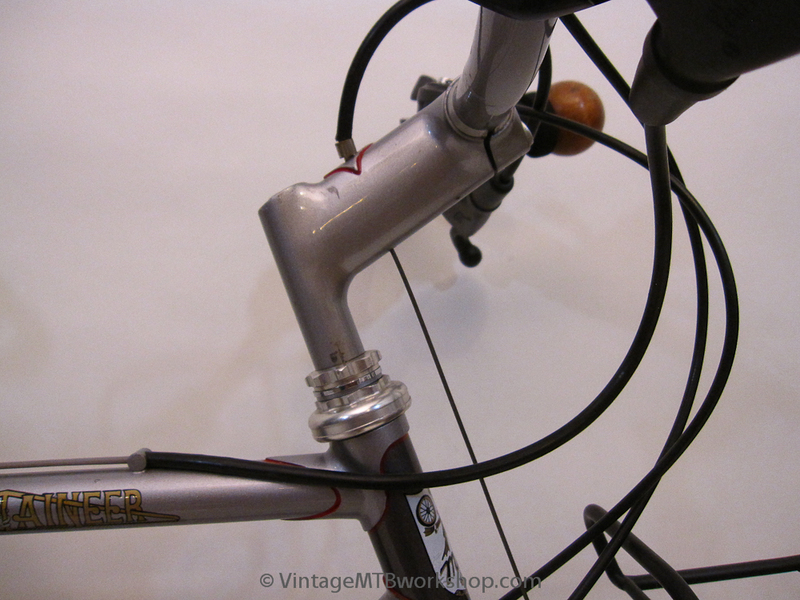 Early Moots bikes had a number of very unique and innovative features, such as the Moots Mounts that allowed cantilever brakes to be position to suit different wheel sizes, Road Handles that were an early form of barend, radius seatstays for more comfort, portage pads, and big fenders for oversize and knobby tires that were made by Rich Cast. 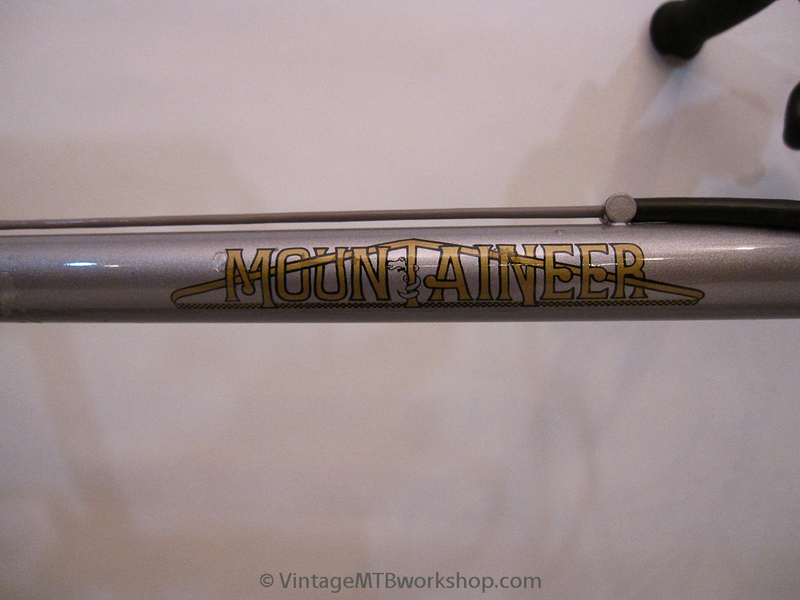 This Mountaineer is a particularly nice example because of its almost complete originality, right down to the cables and cable ends. 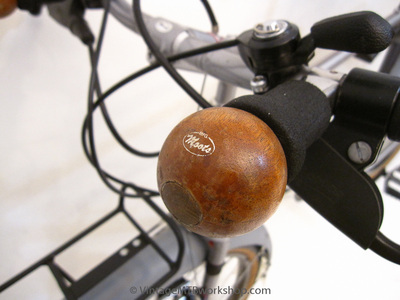 Beeswax was used in the bolt heads to prevent rust, implying that the original owner intended to plan a worldly trip to an exotic location such as Nepal.